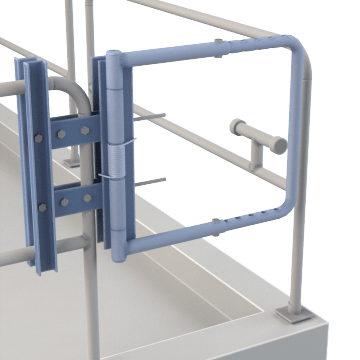 Install self-closing safety gates in railing structures to provide entrances and access points to stairs, ladders, or hazardous/restricted areas, helping to prevent falls or injuries. 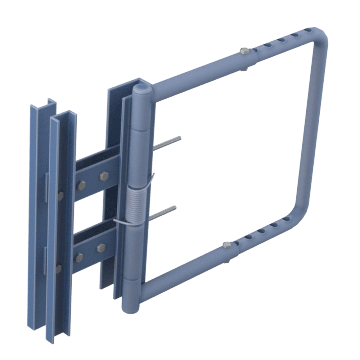 Designed with rounded corners for added safety, these gates can be configured for a left or right swing direction, and adjusted to any width between the minimum and maximum opening size. 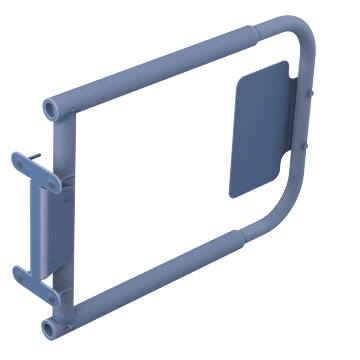 Mount them to pipe rails, angle irons, strut channels, flatbar, or walls. 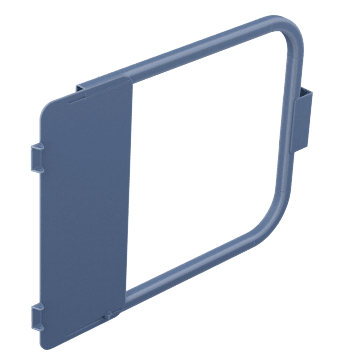 These standard safety gates are suitable for a variety of general-use applications. A label on the panel on the hinge side of these gates warns workers of potential hazards. The panel on the opening side of the gate has a warning label to alert workers to potential hazards.